Norwich City is often described as a ‘family club’ with Carrow Road providing a warm, friendly environment for families to cheer on their team and create fond memories together. 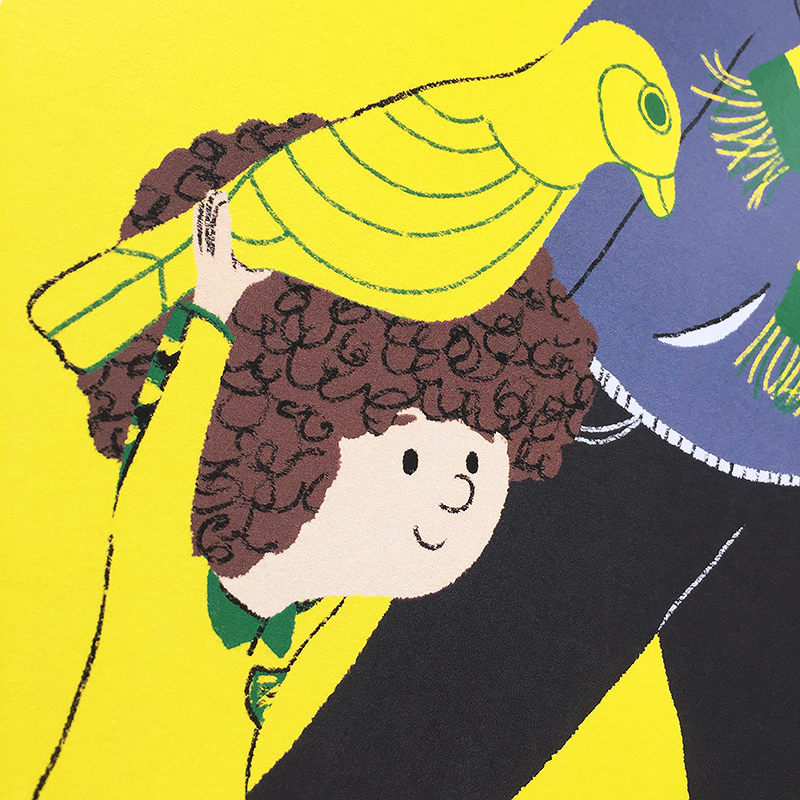 Our latest programme cover celebrates this theme with a delightful piece of artwork, illustrating a family of Canary supporters from different generations. The cover artwork is by Karl Newson, a children’s book author and illustrator who now lives in London but was brought up in Norwich with fond memories of watching the Canaries play as a young lad. For his piece, Karl has drawn a charming old Grandpa walking to a City match along with his two grandchildren, all caught up in the excitement of the pre-match rush to watch their team play. "I’m a children’s book writer and illustrator based in London but I grew up in Norwich, where my days were mostly spent ‘up the park’ kicking a ball around. It was the best of times! Trips to Carrow Road were a regular thing – football unites a bunch of kids in a way that nothing else can. The artwork for this programme is based on my memories of walking to Carrow Road as a child, back before the Riverside area was revamped, when the track just seemed to go on and on and the crowd moved as a herd. I created the artwork digitally, but I like to give it a vintage look to contrast that shiny-plastic feel that most new digital things have. I hope you like it and a big thanks to Patterns of Play for inviting me to take part, it’s a dream to do this! Come on you Yellows! "